Will my tickets be mailed to me? Do I need to print or bring anything with me? When can I check-in at the theatre? What is the running time of the show? Is there an intermission? Is it possible to request an accessible seat? What if my preferred performance is sold-out? Do you have a waiting list? Can I purchase tickets or FlexPass Subscriptions as a gift? If you call during Box Office hours but do not reach an Audience Services staff member, please leave a message. Our staff is serving other customers and will return your call as soon as possible. PLEASE NOTE: Additional ticketing system fees apply for online and credit card purchases. Tickets purchased for shows performed at Stage 773 also incur additional Stage 773 fees. For information about discount ticket options, please visit our Groups & Discounts page. 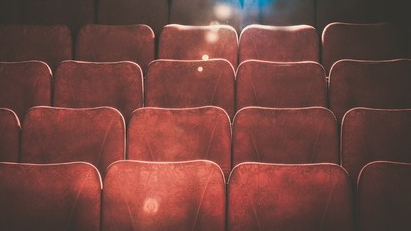 We are a general admission theatre, so seating is first-come, first-served. The theatre opens for seating approximately 30 minutes before curtain time. In TimeLine’s intimate space, there’s really not a bad seat in the house! We are a ticket-less theater, so your reservation will be held at the door. No need to bring anything with you—just check-in with your name at the Box Office. The Box Office opens for check-in starting one hour prior to the performance. Due to the intimate configuration of our space, we cannot accommodate late seating. We encourage all ticket holders to arrive at least 15 minutes prior to curtain time. Running times and intermissions vary per production. Please call our Box Office or visit a specific production’s page for more information. We are happy to accommodate requests for accessible seating. For more information about accessibility at TimeLine, please visit our Accessibility page. We do! For more information, please visit our Accessibility page. If a performance you’d like to attend has sold out, we encourage you to keep checking in with us! Seats may become available due to exchanges and/or cancellations. Also, starting one hour prior to a sold-out performance, the Box Office will begin a wait list. At curtain time, in the event of last-minute cancellations or no-shows, and at the discretion of the Box Office Associate and House Manager, seats may be released and sold to those on the waiting list on a first-come, first-served basis, with one exception: TimeLine subscribers on the wait list will receive priority. We will not take wait list names over the phone; you must arrive in person to sign up. We cannot guarantee that seats will become available, but we will do our best to accommodate you. Single tickets may be exchanged to another performance of the same production for a $5 fee per ticket, if requested at least 24 hours prior to the originally ticketed performance. Exchanges are subject to availability, and may incur additional charges if you are exchanging into a more expensive performance. TimeLine’s FlexPass Subscribers enjoy at least two free exchanges per production. We’d love for you to share TimeLine with loved ones! Gift Certificates and Gift Subscriptions are perfect for any occasion or celebration and may be purchased in person at our Box Office or via phone at (773) 281-8463 x6. Are you a FlexPass Subscriber? Visit our Subscriber FAQ page to review frequently asked questions specifically related to your FlexPass Subscription.